Every few years the issue of decolonization in Guam is taken up in a national or international context. This is always an interesting thing to witness, as so much of it depends on the attitude of the journalist. Guam is not something well-known in any context that is not centered around US military bases, Spam consumption or the travel of Japanese tourists. So, whenever a journalist has to take up the issue of covering Guam, either for a single instance or become the "beat" reporter for US territories, or the Western Pacific or for something else, it can be interesting to observe. Older analysts have referred to the constant rediscovery of Guam in this way, as every new journalist that is tasked with covering Guam has to undergo a short or very short process of learning about it and then making it known to their reading/viewing public. 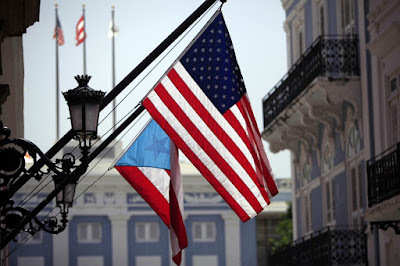 It has become common to say and hear lately that Puerto Rico, a fellow colony of the United State is in crisis. Numbers I have come across cite more than $70 billion in debt, with the island suffering with an unemployment rate of 11.4% and a poverty rate of 45%. Basic public services in health care and education have been dramatically affected and the island is experiencing a rapid brain drain as those who have the means to leave, seem to be doing so. I wrote yesterday about the case Tuaua v. the United States, which deals with the issue of birthright citizenship, American Samoans and whether the US Constitution automatically follows wherever the American flag is flown. This case, which was recently declined by the US Supreme Court and won't be heard this year, has been casting an anxious shadow over Guam, as it could have serious ramifications for how the Government of Guam decides to forge ahead with its plans for decolonization. For the past few years, two legal cases have overshadowed the quest for decolonization in Guam. 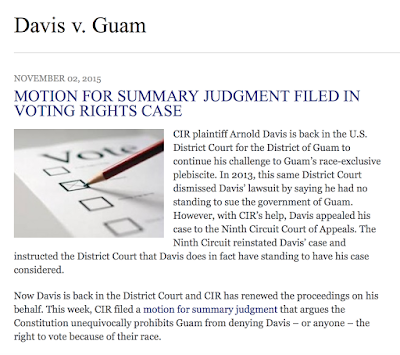 One of them is the infamous Davis case or Arnold Dave Davis v. the Government of Guam, over the alleged violation of his constitutional rights, that a decolonization plebiscite would entail. Taya' ganas-hu para bei pacha este na suheto pa'go. Buente bei fangge' put este gi otro biahi pat tinige'. The other case is Tuaua v. The United States, which represents a challenge to the Insular Cases, or the century's worth of legal cases in the United States that formalize their colonial control over their territories such as Guam, American Samoa and Puerto Rico. Tales of Decolonization #11: To Militarize? Or to Decolonize? On August 28, 2015 the Department of Defense signed the Record of Decision (ROD) for their proposed military buildup to Guam. The military buildup and its impact on Guam has long been a topic of public debate. 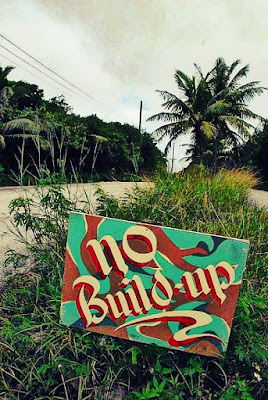 What has often been lost in the discussion of socioeconomic and environmental impacts is what effect a military increase of this magnitude may have on the Chamorro quest for self-determination and the decolonization of Guam. For this year's Regional Seminar I wanted to accomplish a number of goals. First, the primary goal was to give my presentation as an expert on the decolonization situation in Guam. Second, was to meet with people from the other Non-Self-Governing Territories to try to develop the foundation for a solidarity network to increase awareness and communications. Third, to conduct interviews for the Guam public radio program Beyond the Fence. And finally, just to conduct research for my own academic work. For the first three, things went smoothly at the conference. In fact, other than some technical problems with my digital recorder and my struggles with jet lag, things went far better than I expected.